It’s been a while since I’ve posted something new around here but today I’m back with some fresh content for you. This post will be a bit different that the usual ones than i post here, today I will show you 5 ways to make your career mode more exciting and keep it fun until the release of FIFA 19! Probably everyone knows what I mean with a RTG. You start with a (small) team in a low division of the respective country. For example, 3rd or 4th division in England, or the 3rd division in Germany. Also the 2nd division of Spain, France and Italy count as a RTG. – You start off with a bad team that has a small budget. With a “bad team” I mean that your team consists of players that are low rated, so under the rating of 70 with maybe an exception for a few players. – The aim of the RTG is to get to the highest division in that country, winning all trophies in that country and preferably reaching international glory by winning the Champions Cup. As you can see by the title, this type of career mode is based on youth players. – From the start, you need to get 3 scouts (that’s the maximum) and scout youth players. You need to replace the “real” players in your team with only youth players and regens. It will probably take 1 season to get youth players with a decent rating to replace all the other ones. I would suggest simming the games in the first season and train the youth players so you can start with a good team at the start of season 2. – The aim with this career mode is to win trophies in your country and winning the Champions Cup. But those aren’t the only goals, as you can also make your own career mode legends. 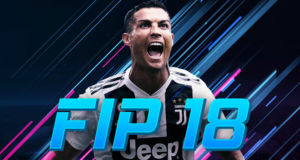 – If you want to buy the best regens possible I would suggest doing this career mode with a big team, as you will have enough money to buy the best possible regens of players like Cristiano Ronaldo, Messi, Suarez, Buffon, Ibrahimovic etc. This career mode is based on a series CaniSports (a FIFA career mode youtuber) made in FIFA 15. Junior FC is a team in the Colombian league and CaniSports moved the club into the Football League 1 (England’s 3rd division). The reason for him for choosing this team was because of the name. – All players he had in his team where young talents that were around 65 rated and below. These players don’t have a big potential with some of them having a potential lower than 80. Most of the players are “hidden gems” and almost no one knows these players. – CaniSports replaced the ‘real’ players that were in the Junior FC team with all of these hidden gems. Make sure you have enough players in your squad as your team won’t have enough money to buy new players. – The aim with this career mode is the same as the RTG. Get to the first division, win trophies and create your own beast players! – You don’t have to use Junior FC as the team, it was a good example to use in my opinion. If you don’t watch FIFA related videos on YouTube regularly then you probably don’t understand what I mean for this type of career mode. – Accepting every transfer offer challenge (from JarradHD): In this challenge you need to accept every transfer offer you get. Doesn’t matter if it’s your best player or a reasonably new player, you have to accept every offer. With a bit of luck the transfer talks break down, which happen frequently in this FIFA. You will have the most fun if you play with a big team, preferably with your favorite team. You will know most of the players that are in your team so it will hurt a bit more when you sold them. – Recreating your own football team: So most of you will play (or have played) football in real life. 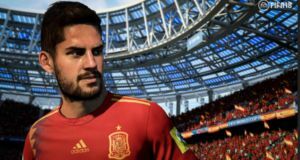 You can recreate your friends and teammates in FIFA 18! Create your own friends, give them the stats they deserve (or definitely don’t deserve). You can give the players a decent rating, around 65-70 rated, or you can put your team in the League 2 and have the players rated around 60. You can share the ratings of your teammates with your friends and see how they react! Maybe they will follow your idea and create the same team but with different ratings. 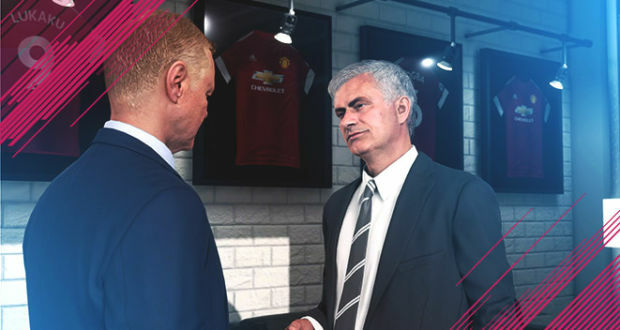 – Under “specific age” career mode challenge: In this career mode you can only buy players that are from a specific age or, for example, can only be under 21/19 years old. You can set this range yourself but don’t make it too easy by making the range too big. You can do this challenge with a mid-table team so you can buy good talents with high potential but can’t buy every one of them. Finally, there’s also this type of career mode which is supposed to be shorter than the others and less difficult to achieve. – You pick a big team in one of the 5 top divisions in Europe (England, Germany, Spain, Italy or France). A few examples of big teams are: Barcelona, Real Madrid, Juventus, PSG, Manchester United/City and Bayern Munich. These teams are already (one of) the best teams in their country. – The goal with this type of career mode is to get national and international glory as fast as you can. Winning the league, the national cup(s) and the Champions Cup is a must for this career mode. – You can make this type of career mode more difficult for yourself by playing a higher difficulty setting then you normally do. If you already play on legendary, change the sliders so that the CPU have a little bit of an advantage. So these are my 5 types of career modes that you can try for yourself. I did a lot of them myself and I enjoyed them all. I hope you liked this post so don’t forget to share it around if you did like it! A new FIFA 18 Career Mode Hidden Gems post will be released next week so stay tuned!